Well it’s that time of the year, time to start thinking about gardening and my screened in porch. I have lots of changes and fun things planned for our screened in porch. But as I was researching something for my porch on Craigslist, and I came across this company All American Reclaim. So today we are taking a field trip, are you ready? Get a cup of coffee, or a good beverage, and settle in on a comfortable chair. I have lots of photos to share. When I stumbled onto this shop it looked interesting so I knew I needed to pay a visit. 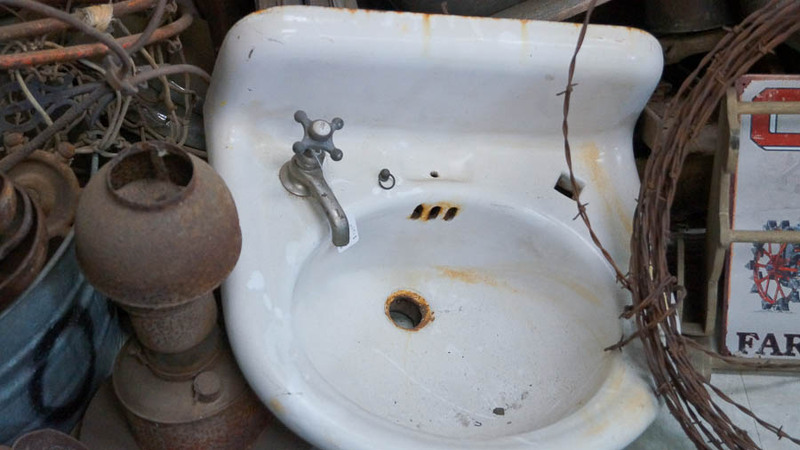 Their website shared photos of vintage salvage …. and I couldn’t wait to check it out! I was thrilled to see such a cool place existed so close to my house! As I walked in this is what I saw. Can you tell how happy I was to walk into this amazing store! 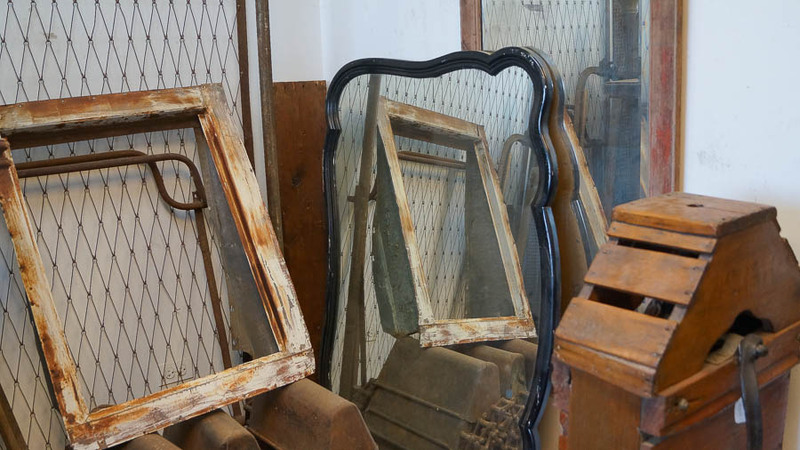 All American Reclaim is full of amazing vintage treasures, and architectural salvage. 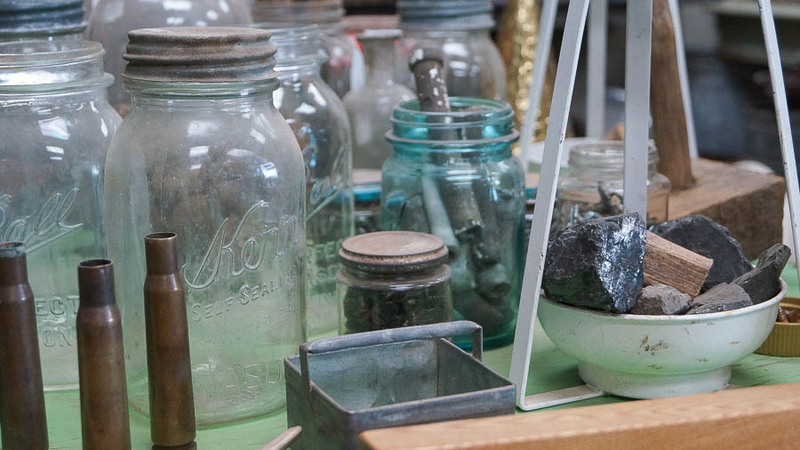 Lot’s of beautiful rusty patina. Yes I am lovin this curvy mirror. Andy Michaelis is the owner of All American Reclaim. 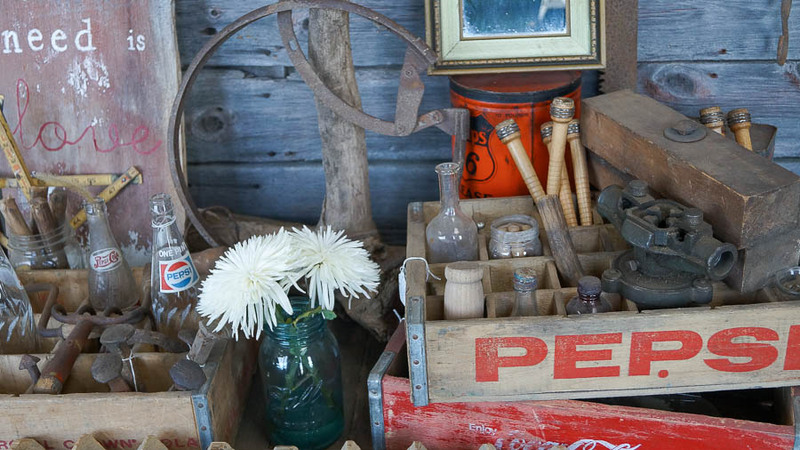 Andy started this business because of his love of these cool vintage treasures! Here is what Andy shares about his business. 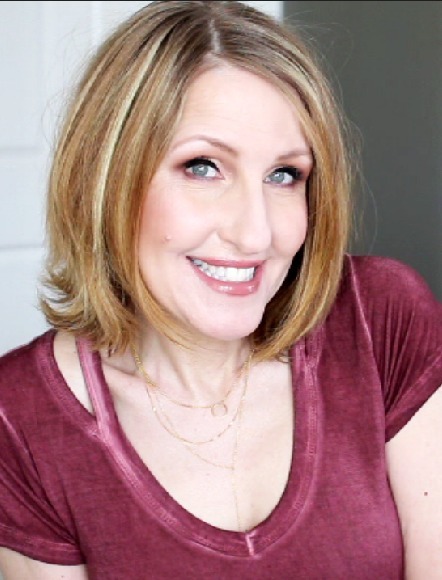 “I jumped into this business because I have a love for woodworking! 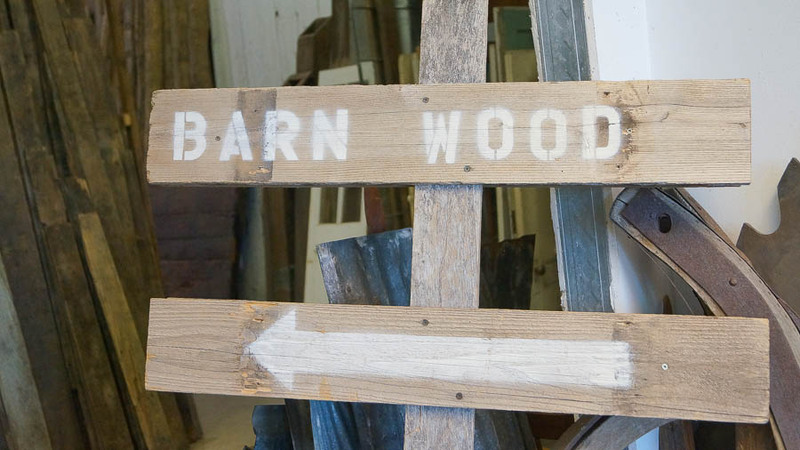 While I was searching for the perfect pieces to build with I sought out the American barn. 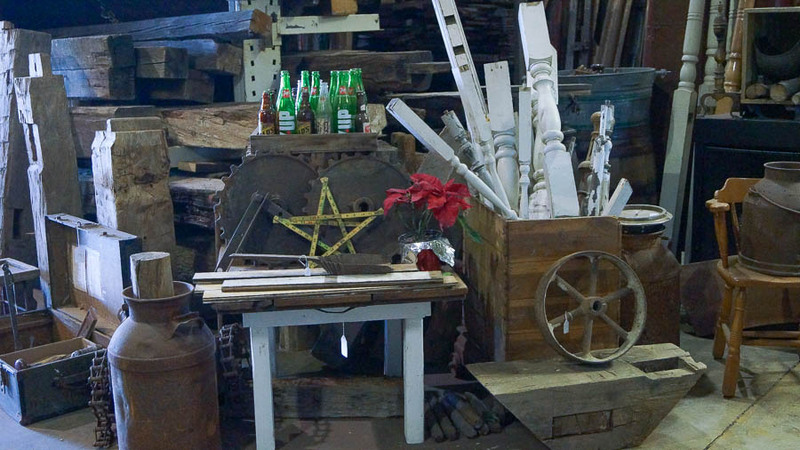 The lumber, hardware, & antiques I have found has been amazing! As much as I want to keep all of these treasures to myself, it is WAY TOO MUCH!!! 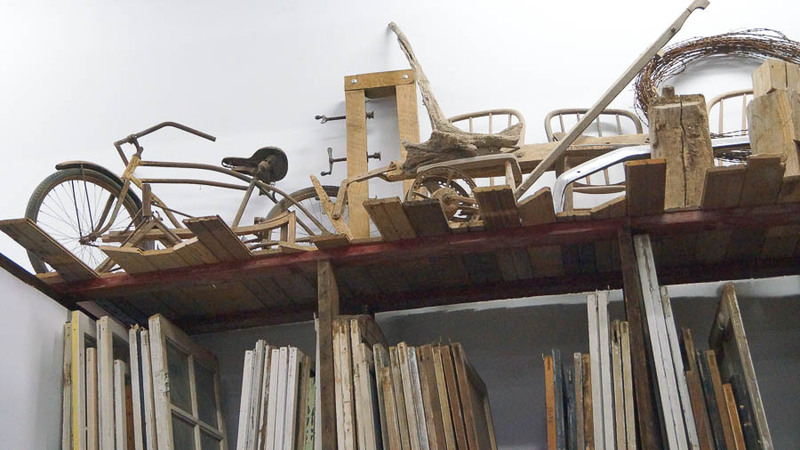 I used my collection of reclaimed products to come up with the creation of my new business All American Reclaim. 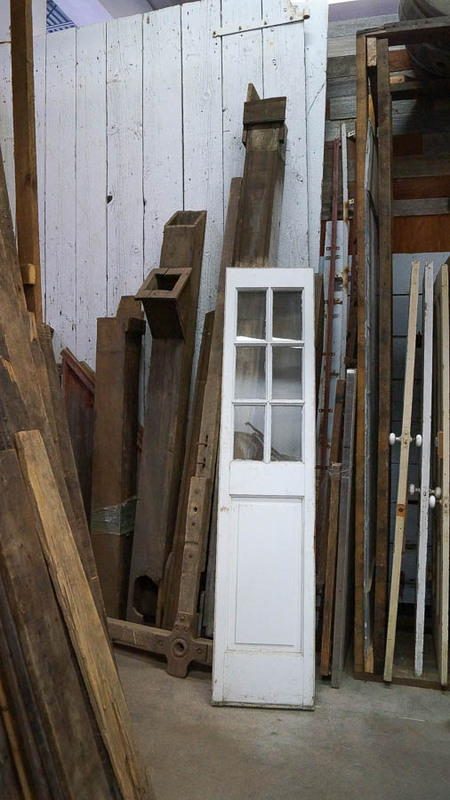 My business is located in Crystal Lake, IL where I have a shop with an extensive supply of reclaimed lumber and products for sale. 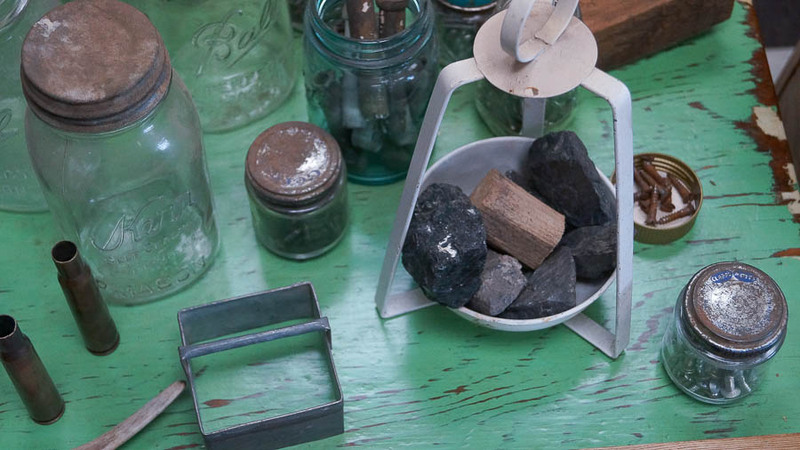 You can come to my shop to browse and pick out those perfect pieces you need to complete your project. 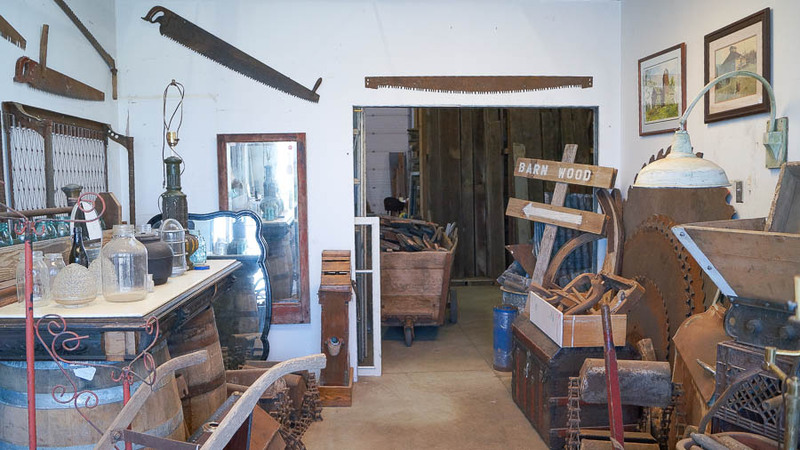 You can find a beautiful hand hewn beam to create a bench or a fireplace mantel, or you can find that perfect antique that you can’t find anywhere else! 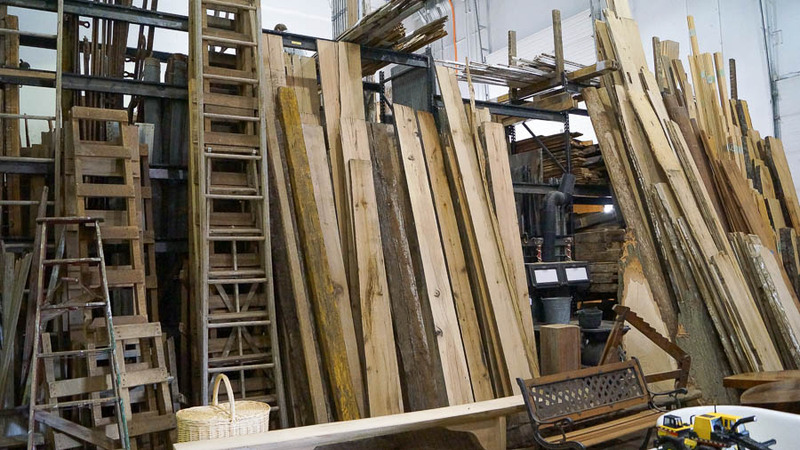 You can even buy large quantities of reclaimed wood and materials for flooring, tables, wall paneling, or any project that you can dream up! Let me warn you, before visiting make sure you have plenty of time because there is so much to see! 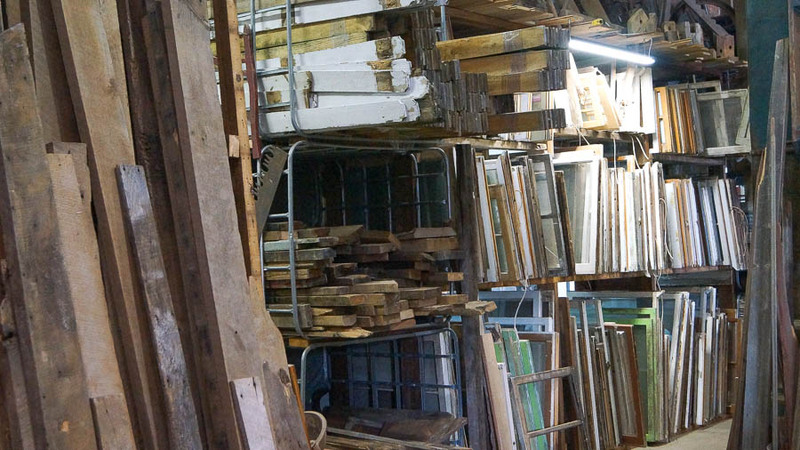 It may look small on the outside but this shop is full of amazing architectural salvage and cool treasures. Are you looking for a door? Well there are plenty here, different colors, and styles! 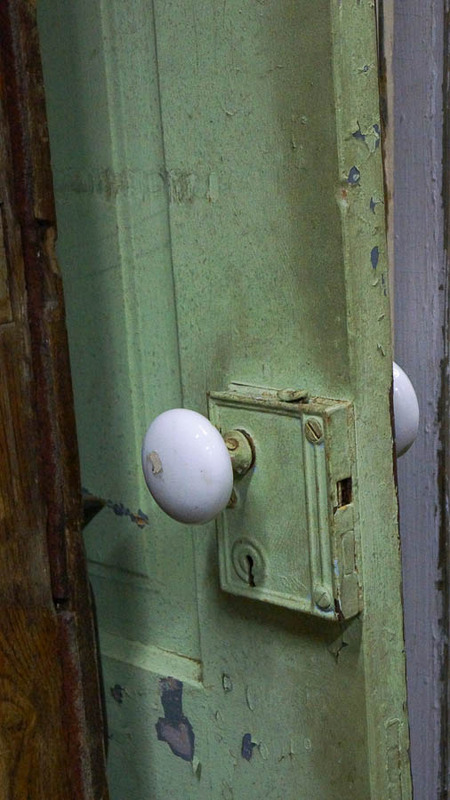 Love this vintage green color, patina and the porcelain door knob. 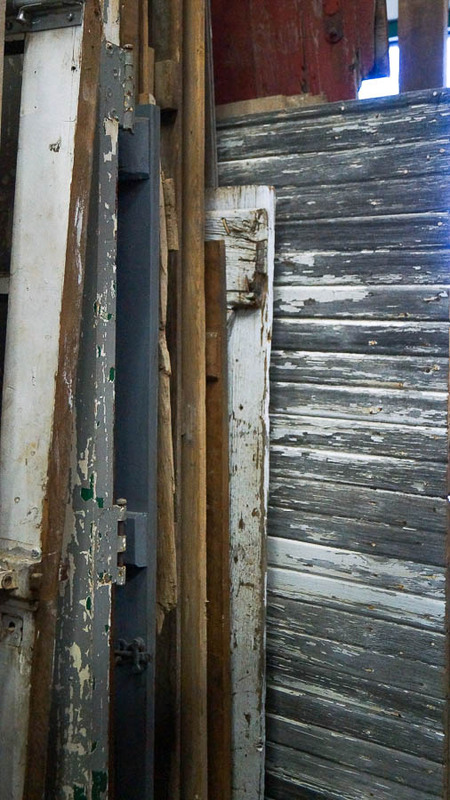 This old barn door has perfect chippy patina. I love faking chippy paint, but let’s be real…there is nothing, and I mean nothing like the real thing. The best part is that each one of these pieces is unique and one of a kind! 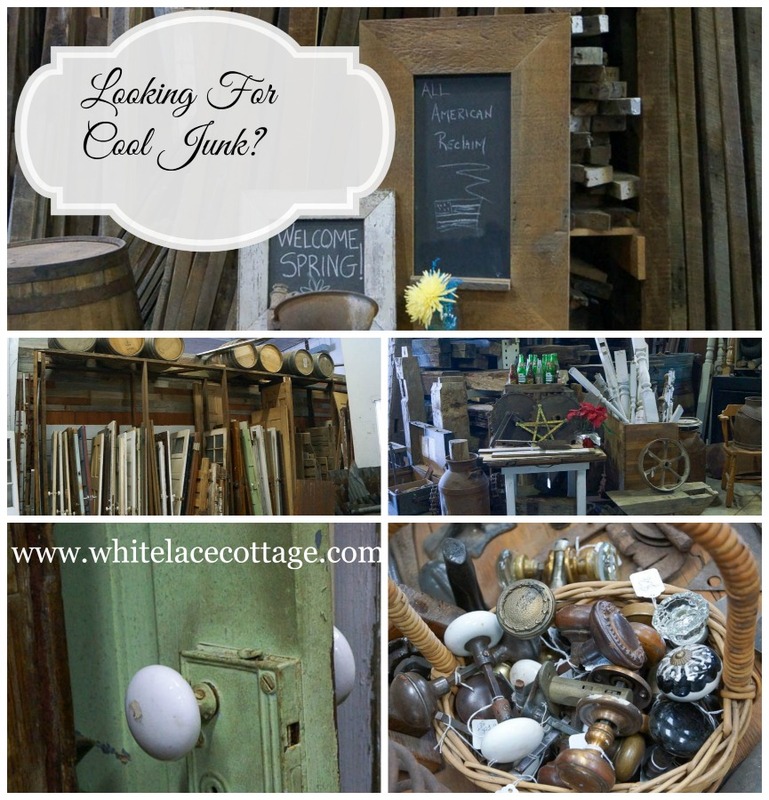 Looking around you see so many styles and sizes of salvage. 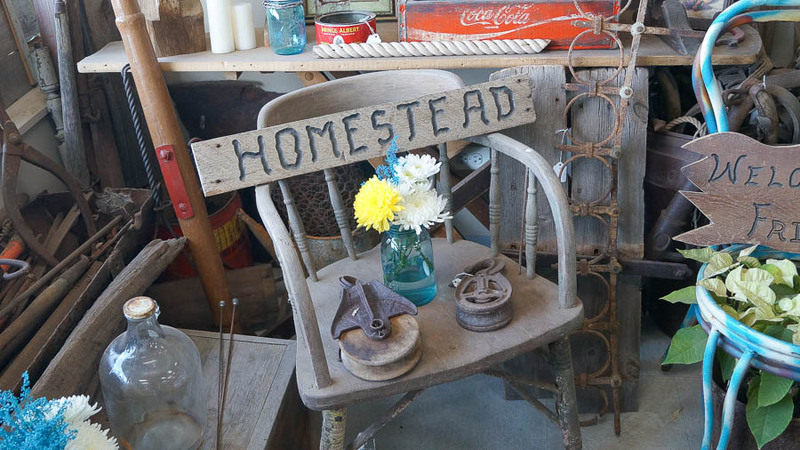 Pieces from old barns or homes. You can get really creative with these ladders as decor for your home. 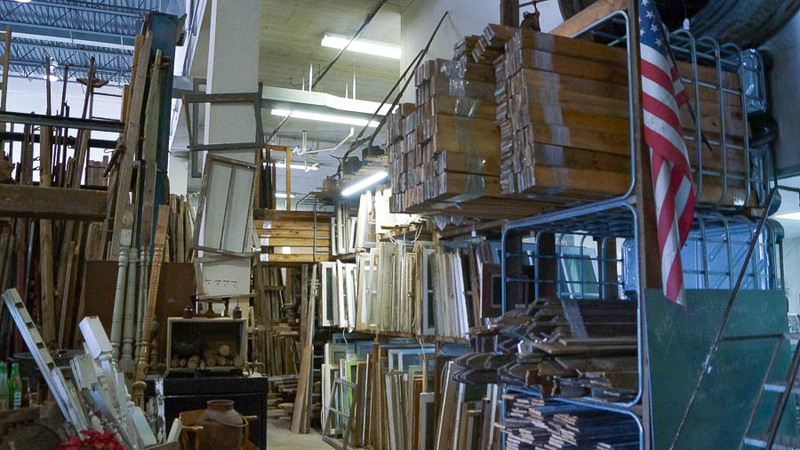 Lots of old windows, and scrap pieces. 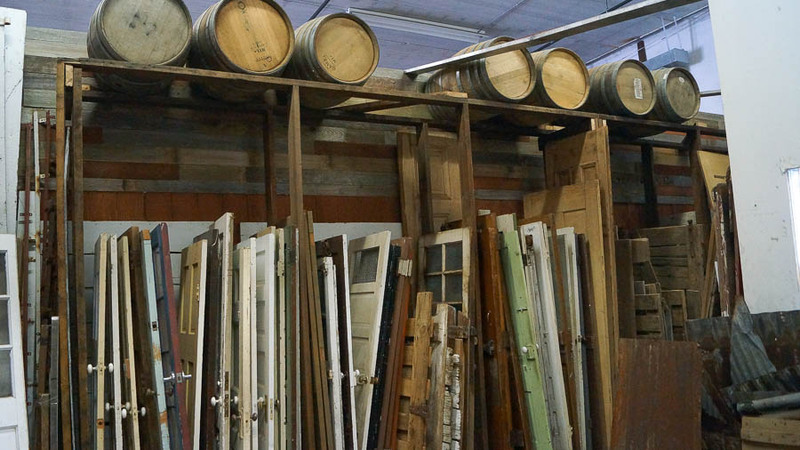 Just think of all of the fun projects you can do with all of this amazing salvage! 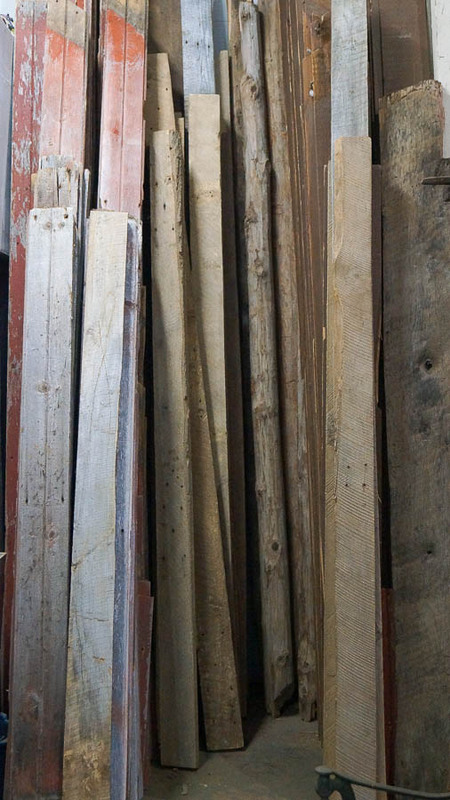 If your looking for a little wood to make a farmhouse table, or add salvage wood to your walls. 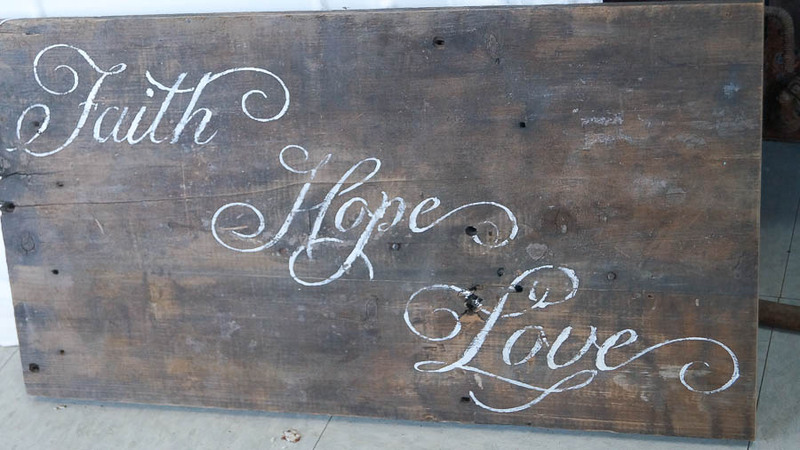 Here is a little inspiration for your walls. This look is hot right now! 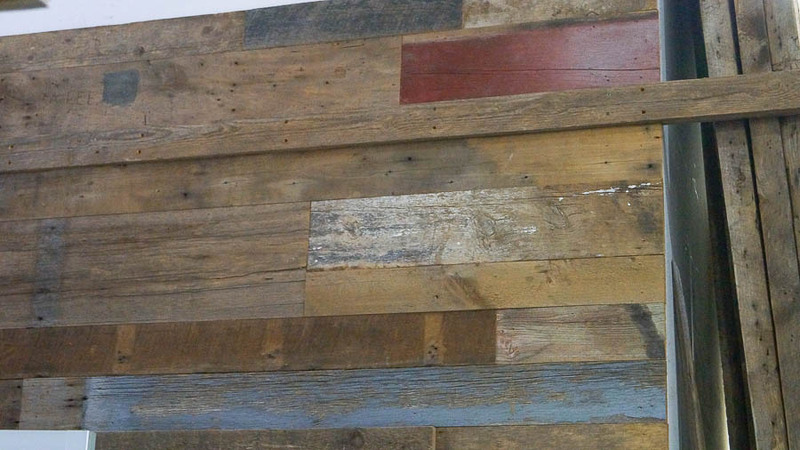 Just do a little pinterest search for plank walls and you will see what I mean. Everywhere you look there are treasures to be hold! Yes more windows, and treasures above. Okay, can you see why I am telling you to allow yourself plenty of time when you visit. 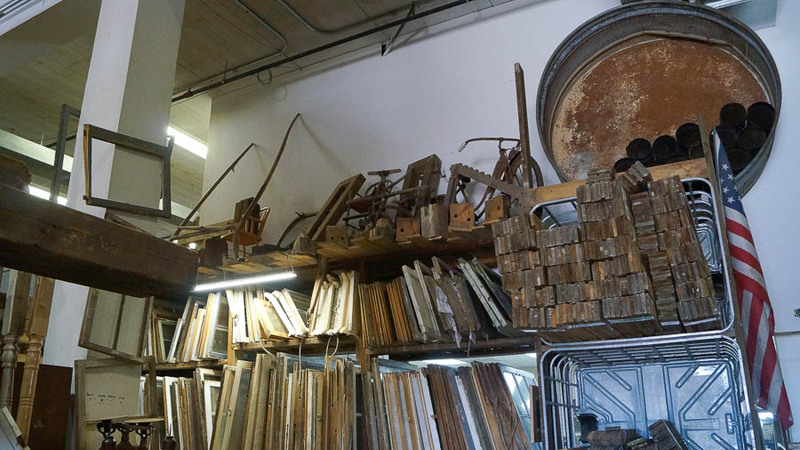 It’s hard to get everything in one shot, here is another view of those windows and salvage. 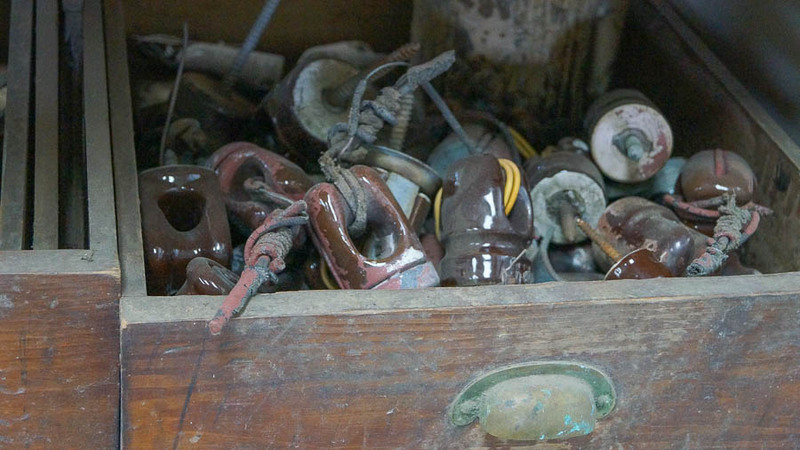 In the front as you walk in you will find many bits and pieces, rusty treasures, and knobs like these. 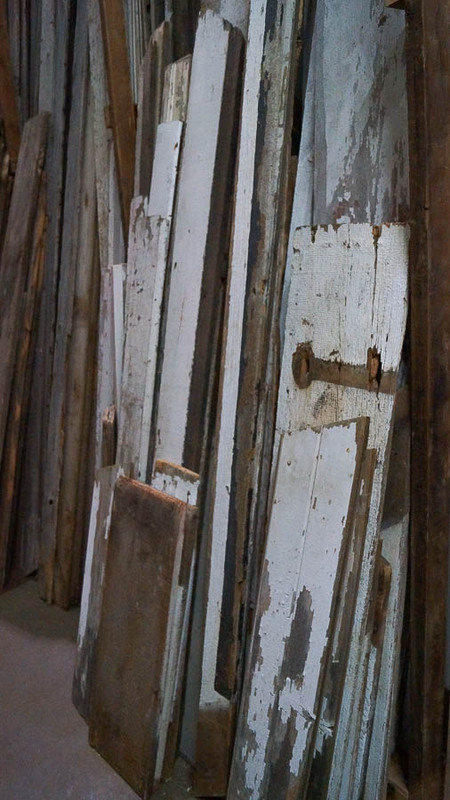 Perfect for an old door or a project. 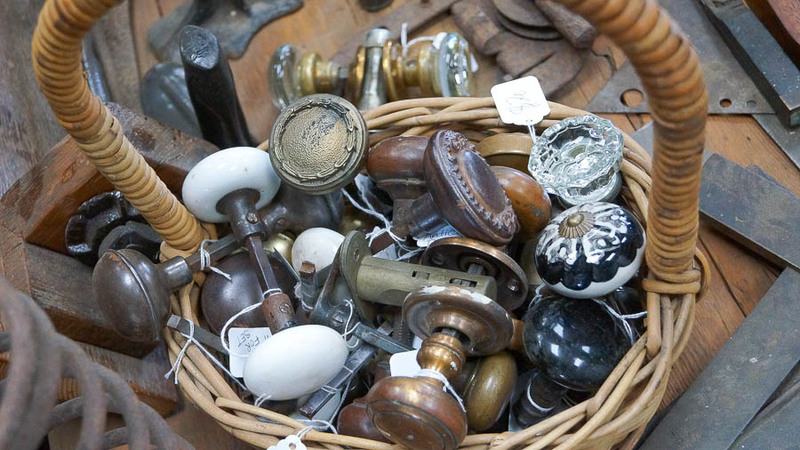 I have seen door knobs used for curtain curtain tie backs, to making these into towel hooks for a bathroom. All American Reclaim is a labor of love. 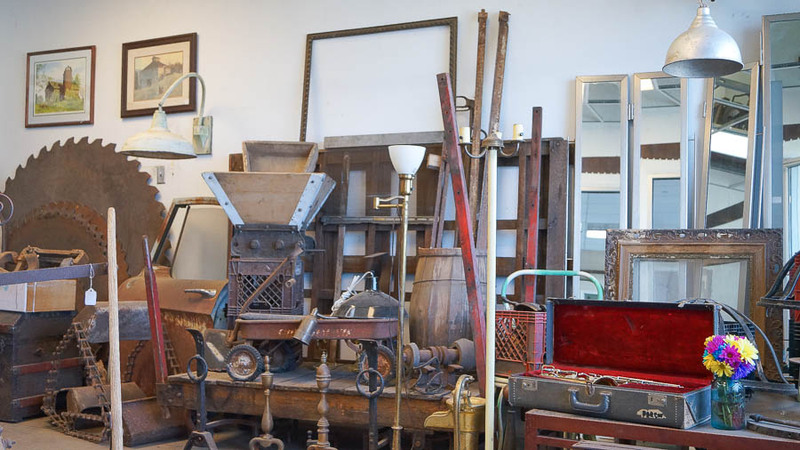 They don’t just sell this salvage, but they also are hands on in taking all of this salvage and treasures out of the homes and barns they find. 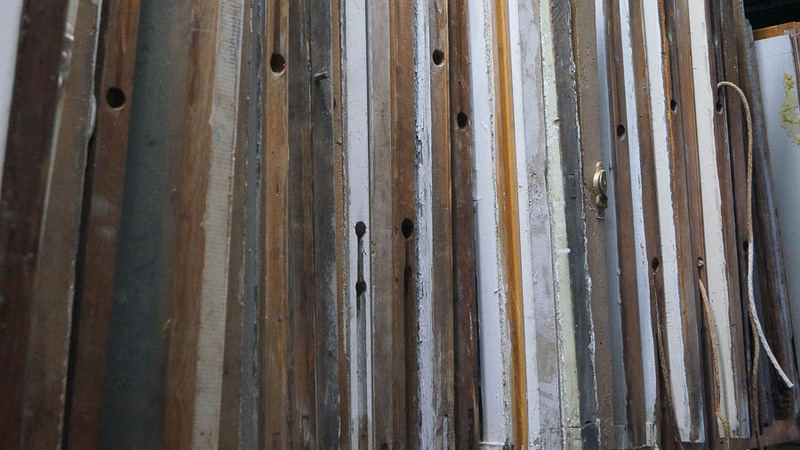 Each piece of wood, each door, each window and each treasure is not only unique but it also has history. I can only imagine how much fun it would be to be a part of the demolition of these old barns and homes. The treasures that are found, yes it’s truly a treasure hunt! When you love cool junk like I do you totally get this. 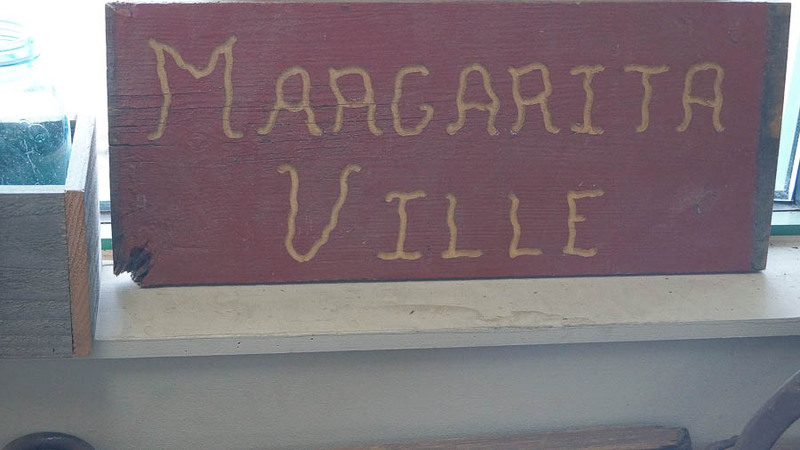 I love this quirky, yet fun Margarita Ville sign. Well I hope you enjoyed this tour of All American Reclaim. If you are local this is a must stop! If you are in the area visiting, make sure to stop in, you can thank me later ;-). 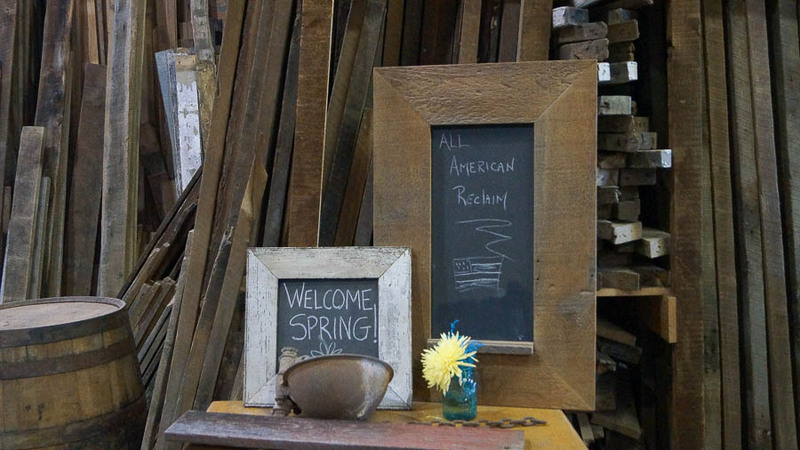 Thanks so much All American Reclaim for inviting me in to shoot photos of your amazing shop! You can visit All American Reclaim HERE for more information. Oh Anne, this is the most fabulous post!!! . I’m going to volunteer to work there, just imagine being immersed in that all day long. Unfortunately the 1,000 mile commute each way is daunting!! I would so love to have a place like this nearby. Just post pictures every time you visit, okay? I always love your posts, but this one was super delicious!! Thank you Liz! LOL yes that would be quite a drive for sure. Anne, what a fun field trip! There is a store similar in Sarasota, FL but their prices are over the top. I have no idea what the prices are at All American Reclaim. Thanks so much Christina! Wow looks like a fabulous shop too! I used to really enjoy your posts, but now, most days, I just delete with out trying to read them. Your pop ups are very annoying when I am trying to read on an IPad. I thought it might be better on a desk top-but they are just as annoying. I understand that you get paid for this and it probably supports you well but there has to be a better way for you to advertise with out the pop ups coming up and no way to delete them. I will miss you. Thank you for letting me know Janet. I really appreciate your feedback. I am working on getting those off of my site. Sometimes they sneak back on and I am not always aware of it. Really Janet….you couldn’t just have opted out. I just visited this shop too Anne. Found them on Craigslist and Wow…I was giddy walking around. Such a fun shop to visit. Nice post. Isn’t that shop amazing Kristi! Just think of all of the fun projects! WOW! Thank you for all of the great pictures of AAR. I heard this place mentioned on a recent episode of Tiny House Nation, and because I live only a few miles away from where they were building the tiny house, I knew it had to be somewhere close by, and I was determined to find it. So, after checking out the AAR website, I knew I was headed for Crystal Lake. But, let me tell you, after seeing all your photos of the place, I am more anxious than ever. And the best part, I’ll be retired in December, so I’ll have much more time to spend there – I can’t wait to go!